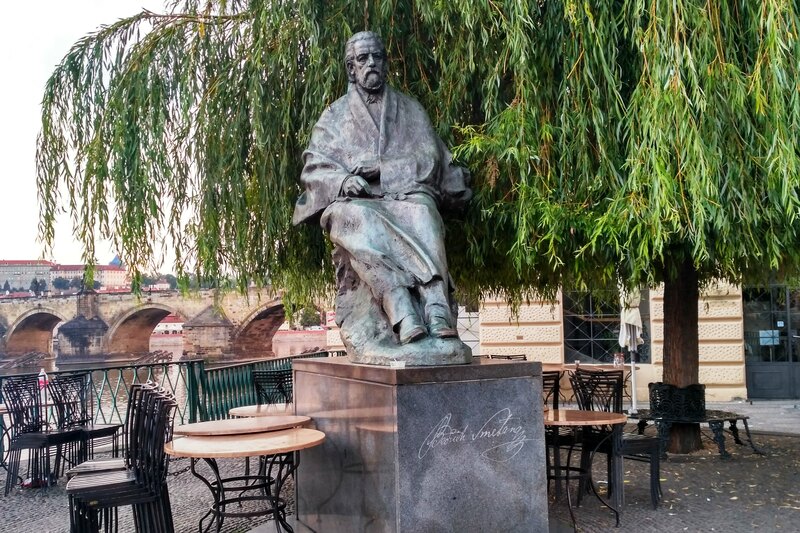 At the end of Novotného lávka in front of the Museum of Bedřich Smetana, a monument to this famous composer was unveiled on 4th June 1984 on the occasion of the hundredth anniversary of his death. It was made by Prof. Josef Malejovský and architect Bedřich Hanák. The bronze sculpture is 235 cm high and weighs about a tonne.